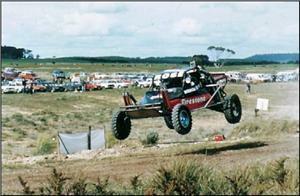 A national sand buggy racing event through the pine forests which is held each year over three days. You can see the vehicles on the Friday at the Millicent showgrounds being scrutinized. The following day commences at Teagle's quarry just on the outskirts of Millicent where the prolog is held to establish their starting positions for the main race on Sunday. A Dash for Cash event is also held on the Saturday. Excellent viewing areas for all days and food and refreshments stalls are available.